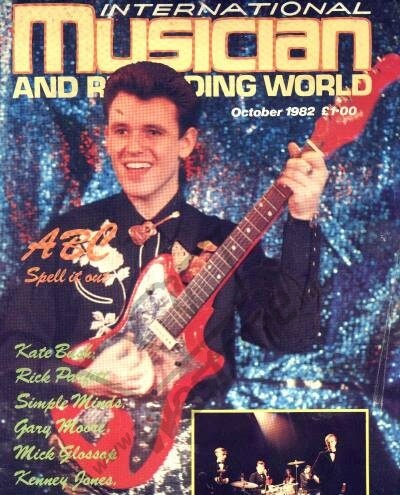 Stylistically there are similarities with the guitar shown below, played by Mark White of ABC - unfortunately the article doesn't say what it is. "I noticed the red Westone that is labeled as unknown. I grew up with a guy in Virginia who had one exactly like that in 1966. Recently he asked me to try to find one like his old Westone that he bought when he was a teenager. 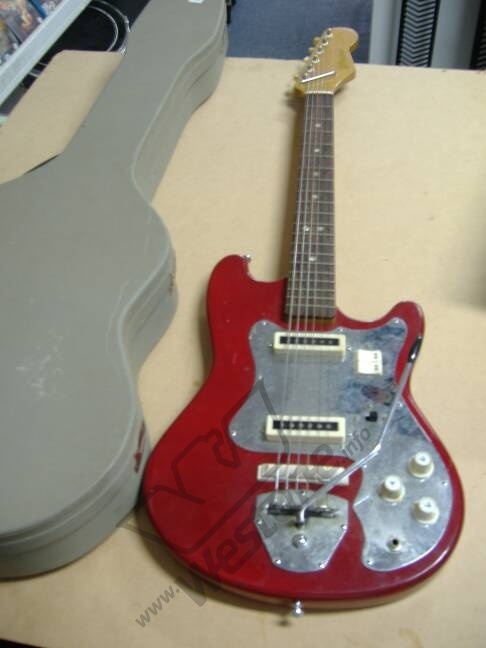 After comparing many guitars, I found that Guyatone made guitars in the sixties that were sold with many different name badges. 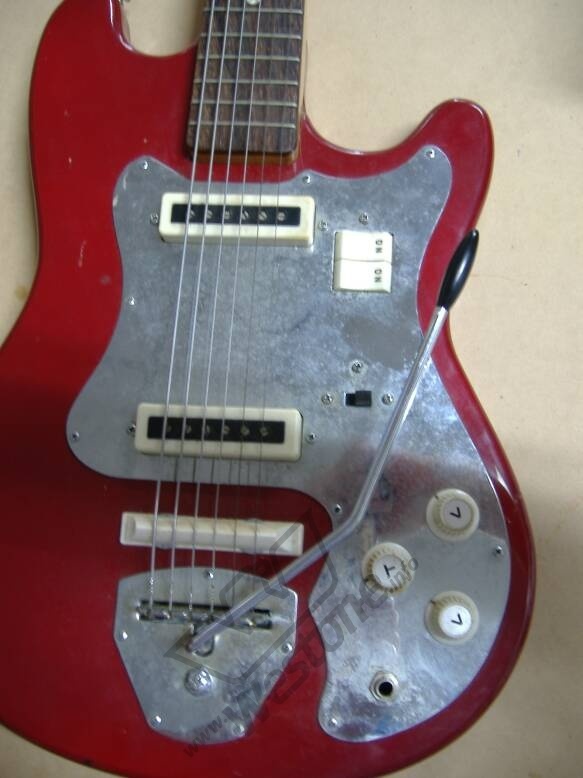 Their guitars have exactly the same setup, shape, pickups, neck, fingerboard and chrome pickguard as this one. 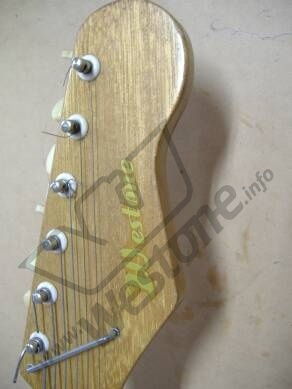 I found that many Kent guitars were made in the mid to late sixties by Guyatone, and were identical to this Westone. He bought an old Kent just last week on Ebay that was almost identical to his old Westone. The Guyatone Lafayette seems real close in everything except a different tailpiece on some photos, and some do not have a brightness switch. My buddy bought his at Western Auto brand new. I know that Guyatone guitars were distributed for sale with different brand names on them. I know that Kay sold acoustic guitars thru Western Auto as Truetone. 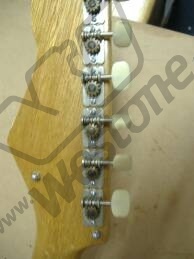 Could it be possible that Guyatone at some point sold guitars thru Western Auto and store badged them Westone?" Does anyone else have any ideas about Westone being sold through Western Auto in the US? Or do you have any ideas about our other 'unknown' Westones? Get in contact info@westone.info.